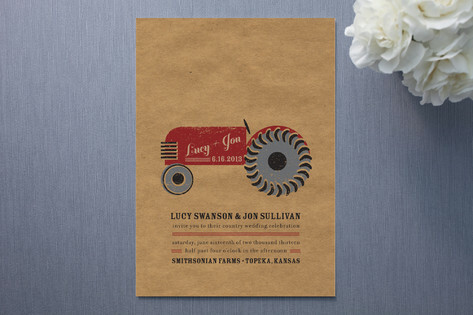 If you're having a rustic country wedding, then these fun tractor-themed wedding invitations may just be the perfect invites for you. A textured craft paper background and weathered-looking tractor bring such personality to this casual suite. Available colors include Red Barn (shown) and Forest Green.